E is for Explore! : WANTED! Uh-oh, numbers and shapes are on the loose! It's up to kids to find them! First, kids create a wanted poster for a geometric solid. The wanted poster will help them retain a geometric solid's attributes. It will also help them with recognizing 3D solids in the real world. Then, they create a wanted poster for a numeral. 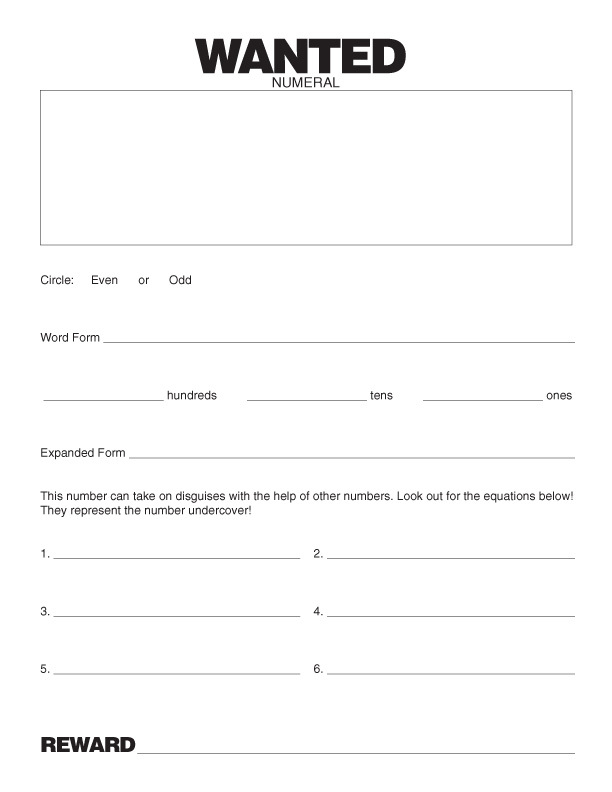 This activity will help kids improve their number sense. Will their descriptions catch the mischievous culprits? After they complete their posters, you can incorporate writing with the project. Have kids write why their numeral or shape is wanted. What did it do to get into trouble?